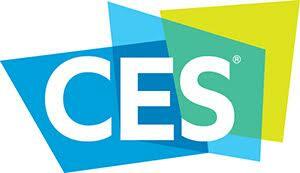 The CES Innovation Awards is an annual competition honoring outstanding design and engineering in consumer technology products. Check out these headphones below. LG’s Bluetooth® wireless TONE Series adds to its award-winning TONE series, the LG TONE Active. The headset comes with built-in external stereo speakers that amps up the bass in your playlist and the sleek Bluetooth headset is designed to stay put during your workout to ensure you don’t miss a beat. Performance integrates comfy wireless headband headphones, an audio app and a cloud-based server to enhance work, exercise and sleep with music and sounds optimized to your routine over time; improving performance, concentration and relaxation. OSSIC X is the ultimate 3D listening experience. This smart headphone auto-calibrates to the listener to enable accurate sound positioning and excellent sound quality. Perfect for movies, music, gaming and virtual reality. BuddyPhones InFlight features a three-volume preference settings of 75, 85 and 94db flight mode max safe volume to be used for high noise levels on airplanes, allowing parents the flexibility to control the volume depending on environment. BuddyCable allows up to four kids to share one device. There are some great new music equipment to check out during the show. The LG SH7 is a 4.1ch. sound system that delivers 360watts with a subwoofer, and was designed to easily enjoy entertainment and music. It features a plethora of streaming services and capabilities including surround sound and multi room capability, Google Cast™ and Bluetooth technology. A portable Bluetooth speaker that is enabled and controlled by your voice commands via Apple Siri and/or Google Voice features built-in to your smartphone. Listen to music, have E-mails and text messages read to you, ask for weather and traffic reports and thousands of other commands on the go. The Aivvy headphone is the world’s first IoT (Internet of Things) wearable music player. Aivvy seamlessly integrates elegantly designed audio hardware, intelligent software and personalized Internet radio into a single, simple device. Monster will announce new products, new partnerships and business strategies planned for the year with the help of celebrity VIP partners. Royole’s CEO will introduce the company, inventors of the world’s thinnest flexible displays and sensors, and now valued at $3B (USD). Dr. Liu will additionally feature their new Moon personal 3D Virtual Mobile Theater. He’ll then introduce their CCO AKON (Music Icon) to share his vision for future products. Previous Post CES 2017... It's All About Music Utopia!